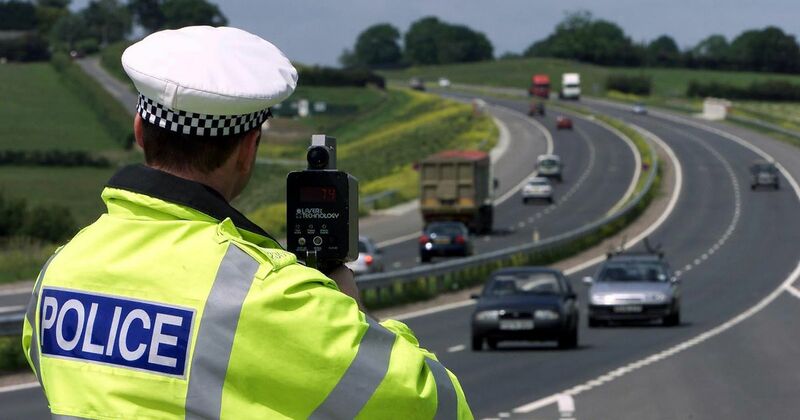 If you’re caught speeding you could face a harsher punishment as of next month. Motorists that are convicted of speeding could be fined up to £2,500 as the Government increase stricter laws in an attempt to deter motorists from breaking the speed limit. Magistrates are currently able to apply a maximum penalty of 100% of the offender’s weekly income for serious speeding offences but as of April 24th this will be increased. Drivers convicted of speeding on the motorway will face the highest fines, which could be up to £2,500. Offenders caught driving above the speed limit on other roads could be fined up to £1,000. The new rules mean that drivers caught speeding at 101mph and above on the motorway could be banned for up to 56 days and fined up to 150% of their weekly income. Drivers caught speeding between 31 and 40mph in a 30mph zone will receive three penalty points and a fine of up to 75% of their weekly income. Offenders are fined according to the registered speed of the offence and which penalty band this falls in to; either A, B or C. Band C applies to the most serious offences and magistrates will now be able to implement a fine of up to 150% of the driver’s weekly salary, capped at £1,000 or at £2,500 for excessive speeding on a motorway. The increased penalties have been introduced by the Sentencing Council because they felt that the current penalties for speeding do not correspond with the ‘potential harm’ that could be caused by offenders. 2015 saw 166,695 drivers in England and Wales convicted of speeding with the average fine being £188. Harsher speeding fines are just one financial deterrent in place to send a stronger message to motorists. Drivers convicted of speeding offences will also have conviction codes and penalty points added to their license, which will increase the cost of convicted driver insurance and could even affect the offenders choice of jobs. Car insurance for convicted drivers has notably gotten more expensive due to other recent legislation changes. Speeding drivers are one of a number of offenders that will face harsher punishments under the new laws introduced next month. TV license evaders and those convicted of animal cruelty will also be hit with harsher sentences.